WESTLIFE singer Nicky Byrne and wife Georgina are preparing for a bumper Christmas as their entire family are set to join them. Former Taoiseach Bertie Ahern, author Cecelia Ahern and the rest of the Byrne and Ahern clans will join the couple and their twin sons Jay and Rocco (4) for Christmas Day. "Christmas is going to be great because for the first time, I'm home early. "I put up the Christmas tree at the start of November because we are touring, but we are home now and I'll be spending it with the kids. "We're going to have a nice, quiet Christmas, we won't be going out. But both sets of families will be over for Christmas dinner, there was about sixteen all together at the dinner table last year with my mum, Cecelia and Bertie, so please God it's going to be the same this year. The kids just wrote their letters to Santa Claus, so it's an exciting time," Nicky said. Meanwhile, Nicky, who spoke out at the launch of Lifestyle Sports flagship store on Mary Street, revealed how he is nervous about going it alone as a presenter, saying that having his bandmates with him over the last fifteen years has been his security blanket. Since announcing that they were splitting this year, all eyes have been on Nicky, who is looking to get his big break as a presenter. After losing out to Eoghan McDermott on RTE's new talent show The Voice, Nicky says he is still in search of a hosting gig on TV or radio. 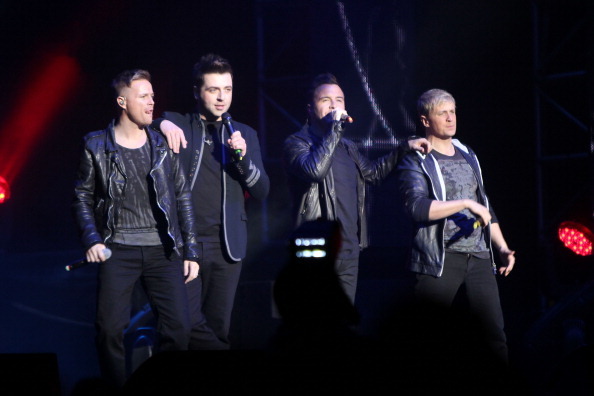 Nicky (33) admitted he is excited to make a new start when Westlife's Farewell Tour ends. "I'm having meetings at the moment. I'm not nervous about presenting, I'm nervous about taking the next step."